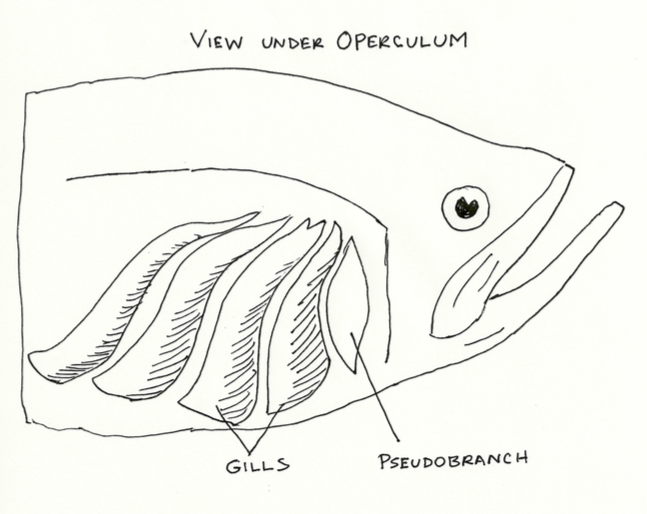 The pseudobranch is the vestige of the primary gill arch in teleosts, positioned in front and toward the back of the operculum. It’s location varies. With some types of fish it is found beneath the skin, with others it may hang freely. The pseudobranch is not present in elasmobranchs and cyclostomes, and also in a few teleosts for example the eel and other related fish. It’s function remains largely unknown.